Russian formalism was an influential school of literary criticism in Russia from the 1910s to the 1930s. 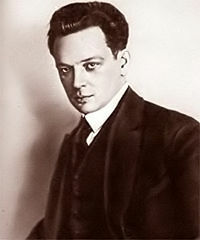 It includes the work of a number of highly influential Russian and Soviet scholars (Viktor Shklovsky, Yuri Tynianov, Boris Eichenbaum, Roman Jakobson, and Grigory Vinokur) who revolutionized literary criticism between 1914 and the 1930s by establishing the priority and autonomy of poetic language in the study of literature. Russian formalism exerted a major influence on thinkers such as Mikhail Bakhtin and Yuri Lotman, and on structuralism as a whole. The movement's members are widely considered the founders of modern literary criticism. Formalism fundamentally altered the way literature was understood. Prior to formalism, literature was largely interpreted based on its ideological components, historical interest or as a reflection of the author's mentality. Formalism made the literary text, and the artistic strategies of the author, the focus of its study. The result is an appreciation for the creative act itself. Russian formalism was a diverse movement, producing no unified doctrine, and no consensus amongst its proponents on a central aim to their endeavors. In fact, "Russian formalism" describes two distinct movements: the OPOJAZ (Obscestvo izucenija POeticeskogo JAZyka, Society for the Study of Poetic Language) in Saint Petersburg and the Linguistic Circle in Moscow. Therefore, it is more precise to refer to the "Russian formalists," rather than to use the more encompassing and abstract term of "formalism." The term "formalism" was first used by the adversaries of the movement, and as such it conveys a meaning explicitly rejected by the formalists themselves. In the words of one of the foremost formalists, Boris Eichenbaum: "It is difficult to recall who coined this name, but it was not a very felicitous coinage. It might have been convenient as a simplified battle cry but it fails, as an objective term, to delimit the activities of the "Society for the Study of Poetic Language...." Under Josef Stalin, it became a pejorative term for elitist art. Two general principles underlie the formalist study of literature: first, literature itself, or rather, those of its features that distinguish it from other human activities must constitute the object of inquiry of literary theory; second, “literary facts” have to be prioritized over the metaphysical commitments of literary criticism (whether philosophical, aesthetic or psychological). To achieve these objectives several models were developed. The formalists agreed on the autonomous nature of poetic language and its specificity as an object of study for literary criticism. Their main endeavor consisted in defining a set of properties specific to poetic language (be it poetry or prose) recognizable by their "artfulness" and consequently analyzing them as such. The aim is to produce "a science of literature that would be both independent and factual," which is sometimes designated by the term poetics. Literature is autonomous from external conditions in the sense that literary language is distinct from ordinary uses of language, not least because it is not (entirely) communicative. Literature has its own history, a history of innovation in formal structures, and is not determined (as some crude versions of Marxism have it) by external, material history. What a work of literature says cannot be separated from how the literary work says it, and therefore the form and structure of a work, far from being merely the decorative wrapping of an isolable content, is, in fact, an integral part of the content of the work. According to Eichenbaum, Shklovsky was the lead critic of the group, and Shklovsky contributed two of their most well-known concepts: defamiliarization (ostraneniye, more literally, “'estrangement” or “making it strange”) and the plot/story distinction (syuzhet/fabula). Defamiliarization is one of the crucial ways in which literary language distinguishes itself from ordinary, communicative language, and is a feature of how art in general works, namely by presenting the world in a strange new way that allows us to see things differently. Innovation in literary history is, according to Shklovsky, partly a matter of finding new techniques of defamiliarization. The OPOJAZ (the Society for the Study of Poetic Language) group headed by Viktor Shklovsky was primarily concerned with the formal method and focused on technique and device: "Literary works, according to this model, resemble machines: they are the result of an intentional human activity in which a specific skill transforms raw material into a complex mechanism suitable for a particular purpose." This approach strips the literary artifact from its connection with the author, reader, and historical background. A clear illustration of this may be provided by the main argument of one of Viktor Shklovsky's early texts, "Art as Device" (Iskusstvo kak priem, 1916): art is a sum of literary and artistic devices, or artistic strategy that the artist manipulates to craft his work. Shklovsky's main objective in "Art as Device" is to dispute the conception of literature and literary criticism in general, but specifically the common view in Russia at that time. Literature had been defined by the great critic Belinsky as "thinking in images." The tradition that developed from Belinsky was to use literature to consider the political and social questions of the day. After the advent of Russian symbolism, literature was considered as the personal expression of an author's world vision, expressed by means of images and symbols. In both cases, literature is not considered as such, but evaluated on a broad socio-political or a vague psychologico-impressionistic background. The aim of Shklovsky was to isolate and define something specific to literature (or "poetic language"). The object of literary investigation should be the "device," or, more properly, the collection of devices, or the strategy which makes up the "artfulness" of literature. Formalists do not agree with one another on exactly what a "device" (priem) is, nor how these devices are used or how they are to be analyzed in a given text. The central idea, however, is more general: poetic language possesses specific properties, which can be analyzed as such. Some OPOJAZ members argued that poetic language was the major artistic device. Shklovsky, however, insisted that not all artistic texts defamiliarize language; some of them achieve defamiliarization (ostranenie) by manipulating composition and narrative. The formalist movement attempted to discriminate systematically between art and non-art. Therefore its notions are organized in terms of polar oppositions. One of the most famous dichotomies introduced by the mechanistic formalists is a distinction between story and plot, or fabula and syuzhet. Story (fabula) is a chronological sequence of events, whereas plot (syuzhet) can unfold in non-chronological order. The events can be artistically arranged by means of such devices as repetition, parallelism, gradation, and retardation. The mechanistic methodology reduced literature to a variation and combination of techniques and devices devoid of a temporal, psychological, or philosophical element. Shklovsky very soon realized that this model had to be expanded to embrace, for example, contemporaneous and diachronic literary traditions. Disappointed by the constraints of the mechanistic method, some Russian formalists adopted the organic model: "They utilized the similarity between organic bodies and literary phenomena in two different ways: as it applied to individual works and to literary genres." An artifact, like a biological organism, is not an unstructured whole; its parts are hierarchically integrated. Hence the definition of the device has been extended to its function in text: "Since the binary opposition – material vs. device – cannot account for the organic unity of the work, Zhirmunsky augmented it in 1919 with a third term, 'the teleological concept of style as the unity of devices.'" The analogy between biology and literary theory provided the frame of reference for genre criticism. "Just as each individual organism shares certain features with other organisms of its type, and species that resemble each other belong to the same genus, the individual work is similar to other works of its form and homologous literary forms belong to the same genre." The most widely known work carried out in this tradition is Vladimir Propp's Morphology of the Folktale (1928). Having shifted the focus of study from an isolated technique to a hierarchically structured whole, the organic formalists overcame the main shortcoming of the mechanists. Still, both groups failed to account for the literary changes which affect not only devices and their functions but genres as well. The diachronic dimension was incorporated into the work of the systemic formalists. 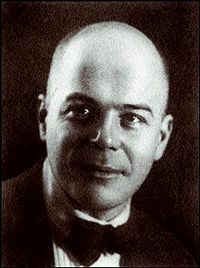 The main proponent of the "systemo-functional" model was Yury Tynyanov. "In light of his concept of literary evolution as a struggle among competing elements, the method of parody, 'the dialectic play of devices,' becomes an important vehicle of change." Since literature constitutes part of the overall cultural system, the literary dialectic participates in cultural evolution. As such, it interacts with other human activities, for instance, linguistic communication. The communicative domain enriches literature with new constructive principles. In response to these extra-literary factors the self-regulating literary system is compelled to rejuvenate itself constantly. Even though the systemic formalists incorporated the social dimension into literary theory and acknowledged the analogy between language and literature the figures of author and reader were pushed to the margins of this paradigm. The figures of author and reader were likewise downplayed by the linguistic formalists (e.g. Lev Jakubinsky, Roman Jakobson). The adherents of this model placed poetic language at the center of their inquiry. As Warner remarks, "Jakobson makes it clear that he rejects completely any notion of emotion as the touchstone of literature. For Jakobson, the emotional qualities of a literary work are secondary to and dependent on purely verbal, linguistic facts" (71). The theoreticians of OPOJAZ distinguished between practical and poetic language. Practical language is used in day-to-day communication to convey information. In poetic language, according to Lev Jakubinsky, "'the practical goal retreats into background and linguistic combinations acquire a value in themselves. When this happens language becomes de-familiarized and utterances become poetic.'" Russian formalists were the first to study the function of sound patterns in poetry systematically and objectively. "In so doing, they initiated a method for the quantitative examination of the linguistic structure of literary texts; an approach which has proven productive for twentieth century scholarship." In their first collective work, Sborniki po teorii poeticheskogo iazyka (1916; Anthologies on the Theory of Poetic Language), the contributors (Shklovsky, Jakubinsky, Polivanov, and Kushner) assigned sound a central role in poetic speech. In addition, they argued that in poetry, words are selected on the basis of their sound, not their lexical meaning. This line of criticism detached poetic language from practical language. Eichenbaum, however, criticized Shklovsky and Jakubinsky for not disengaging poetry from the outside world completely, since they used the emotional connotations of sound as a criterion for word choice. This recourse to psychology threatened the ultimate goal of formalism to investigate literature in isolation. A definitive example of focus on poetic language is the study of Russian versification by Osip Brik. Apart from the most obvious devices such as rhyme, onomatopoeia, alliteration, and assonance, Brik explores various types of sound repetitions, e.g. the ring (kol'co), the juncture (styk), the fastening (skrep), and the tail-piece (koncovka) (Zvukovye povtory, Sound Repetitions, 1917). He ranks phones according to their contribution to the "sound background" (zvukovoj fon) attaching the greatest importance to stressed vowels and the least to reduced vowels. As Mandelker notes, "[h]is methodological restraint and his conception of an artistic 'unity' wherein no element is superfluous or disengaged … serves well as an ultimate model for the Formalist approach to versification study" (335). In "A Postscript to the Discussion on Grammar of Poetry," Jakobson redefines poetics as "the linguistic scrutiny of the poetic function within the context of verbal messages in general, and within poetry in particular" (23). He fervently defends the linguist's right to contribute to the study of poetry, demonstrating the aptitude of modern linguistics to the most insightful investigation of a poetic message. The legitimacy of "studies devoted to questions of metrics or strophics, alliterations or rhymes, or to questions of poets' vocabulary" is hence undeniable (23). Linguistic devices that transform a verbal act into poetry range "from the network of distinctive features to the arrangement of the entire text." Jakobson opposed the view that "an average reader" uninitiated into the science of language is presumably insensitive to verbal distinctions: "Speakers employ a complex system of grammatical relations inherent to their language even though they are not capable of fully abstracting and defining them" (30). A systematic inquiry into the poetic problems of grammar and the grammatical problems of poetry is therefore justifiable; moreover, the linguistic conception of poetics reveals the ties between form and content indiscernible to the literary critic. In the Soviet period, the authorities further developed the term's pejorative associations to cover any art which used complex techniques and forms accessible only to the elite, rather than being simplified for "the people" (as in socialist realism). The contribution of the Formalist School to our literary scholarship lies … in the fact that it has focused sharply on the basic problems of literary study, first of all on the specificity of its object, that it modified our conception of the literary work and broke it down into its component parts, that it opened up new areas of inquiry, vastly enriched our knowledge of literary technology, raised the standards of our literary research and of our theorizing about literature…effected, in a sense, a Europeanization of our literary scholarship…Poetics…once a sphere of unbridled impressionism, became an object of scientific analysis, a concrete problem of literary scholarship. The diverging and converging forces of Russian formalism gave rise to the Prague school of structuralism in the mid-1920s and provided a model for the literary wing of French structuralism in the 1960s and 1970s. "And, insofar as the literary-theoretical paradigms which Russian Formalism inaugurated are still with us, it stands not as a historical curiosity but a vital presence in the theoretical discourse of our day." While New Criticism bears strong resemblances to many of the tenants of Russian formalism, there is no direct historical relationship between the two. New Criticism developed in the period just after Russian formalism was stifled by the Soviet government, but there was no influence. However, despite this, there are several similarities: for example, both movements showed an interest in considering literature on its own terms (instead of focusing on its relationship to political, cultural or historical externalities), a focus on the literary devices and the craft of the author, and a critical focus on poetry. ↑ Eichenbaum. Boris. Vokrug voprosa o formalistah (Russian: "Вокруг Вопроса о Фоpмалистах") (“Around the question on the formalists”). Pecat' i revolucija 5 (1924): 2-3. ↑ "Formalism v russkom literaturovedenii," quoted in Erlich, "Russian Formalism: In Perspective," 225. Gorman, David. "Bibliography of Russian Formalism in English." Style 26: 4 (1992): 554-576. Gorman, David. "Supplement to a Bibliography of Russian Formalism in English." Style 29: 4 (1995): 562-564. Any, Carol. "Boris Eikhenbaum in OPOIAZ: Testing the Limits of the Work-Centered Poetics." Slavic Review 49: 3 (1990): 409-426. Brown, Edward J. "The Formalist Contribution." The Russian Review 33: 3 (1974): 243-258. Brown, Edward J. "Roman Osipovich Jakobson 1896-1982: The Unity of his Thought on Verbal Art." The Russian Review 42 (1983): 91-99. Erlich, Victor. "Russian Formalism: In Perspective." The Journal of Aesthetics and Art Criticism 13: 2 (1954): 215-225. Erlich, Victor. "Russian Formalism." Journal of the History of Ideas 34: 4 (1973): 627-38. Erlich, Victor. "Russian Formalism." The New Princeton Encyclopedia of Poetry and Poetics. Ed. Alex Preminger and Terry V. F. Brogan. Princeton, New Jersey: Princeton University Press, 1993. 1101-1102. Garson, Judith. "Literary History: Russian Formalist Views, 1916-1928." Journal of the History of Ideas 31: 3 (1970): 399-412. Jakobson, Roman. "A Postscript to the Discussion on Grammar of Poetry." Diacritics 10: 1 (1980): 21-35. Mandelker, Amy. "Russian Formalism and the Objective Analysis of Sound in Poetry." The Slavic and East European Journal 27: 3 (1983): 327-338. Warner, Nicholas O. "In Search of Literary Science the Russian Formalist Tradition." Pacific Coast Philology 17 (1982): 69-81. Erlich, Victor. Russian Formalism: History—Doctrine. 3rd ed. New Haven, CT: Yale University Press, 1981. Everard, Jerry. "Introduction to Russian Formalism." Mindsigh. This page was last modified on 21 July 2015, at 15:23.